I'm getting to a point where I'm running out of polka dot themed titles! 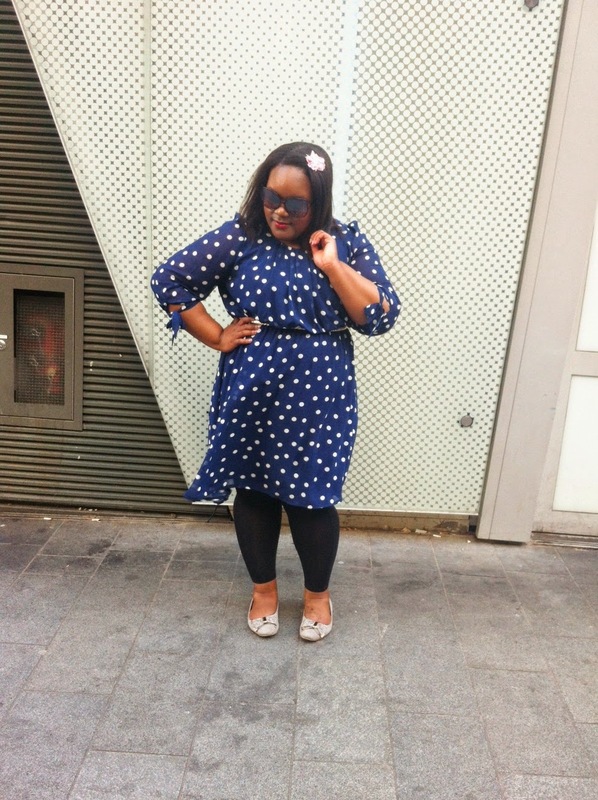 I wear so much of it and if you're a regular reader, you'll see that my love for polka dots is never ending. This is another to add to my polka dot folder. 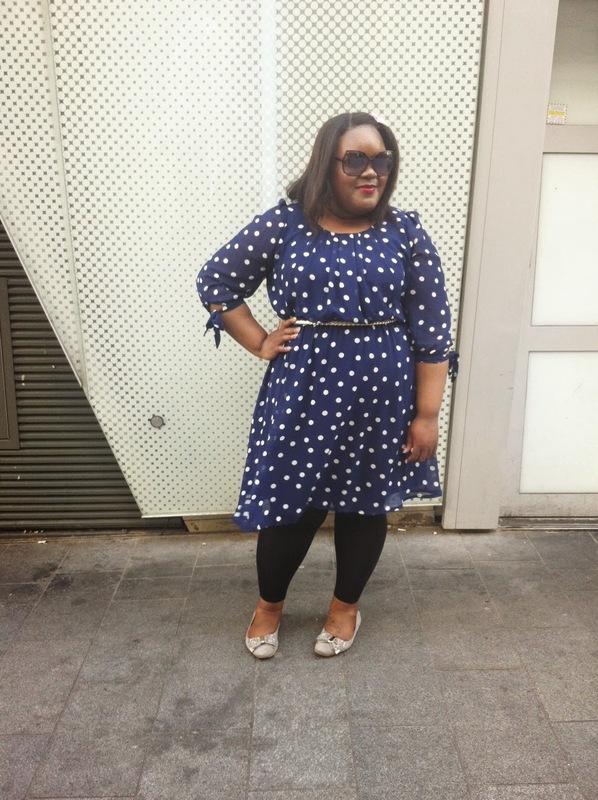 I saw this New Look dress on the ASOS website and couldn't add it to my basket fast enough! It's light weight which is great for this time of year, and it has the cutest tie sleeves. I'm usually one to wear cardigans or shrugs throughout the year, but dresses like this make them irrelevant and is a blessing in the warmer months. (NOTE: In future I will be denoting items no longer available with ^). It has an elasticated waist, is double layered for a floaty feel, and hits just on the knee on my frame. I love this and wish they did more colours in this design. 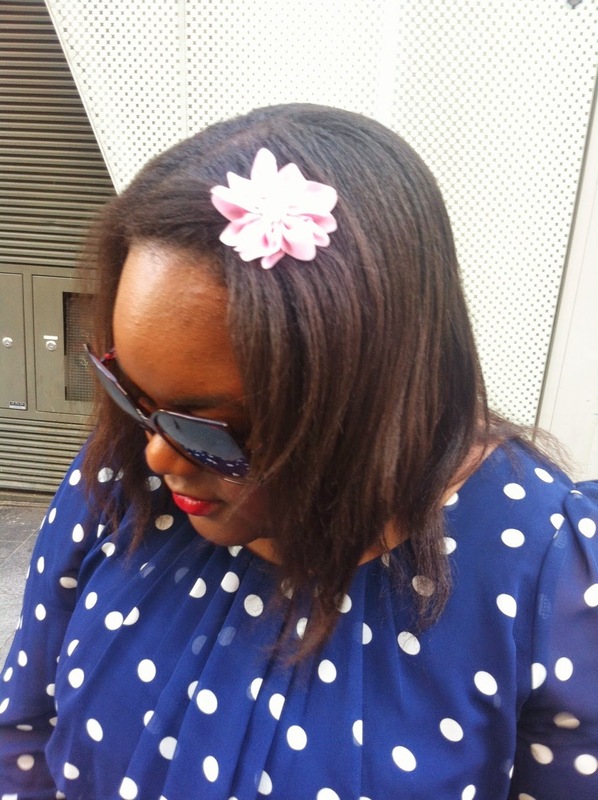 I finished the look with a pair of leggings, sunglasses and a cute little flower for my hair. 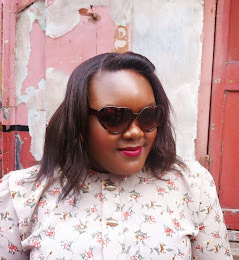 I wore this to a blogger event and dinner with the ever lovely, Charlotte, and the elasticated waist came in handy as we ate so much! Such a fab, springtime outfit. Loving this new outfit. 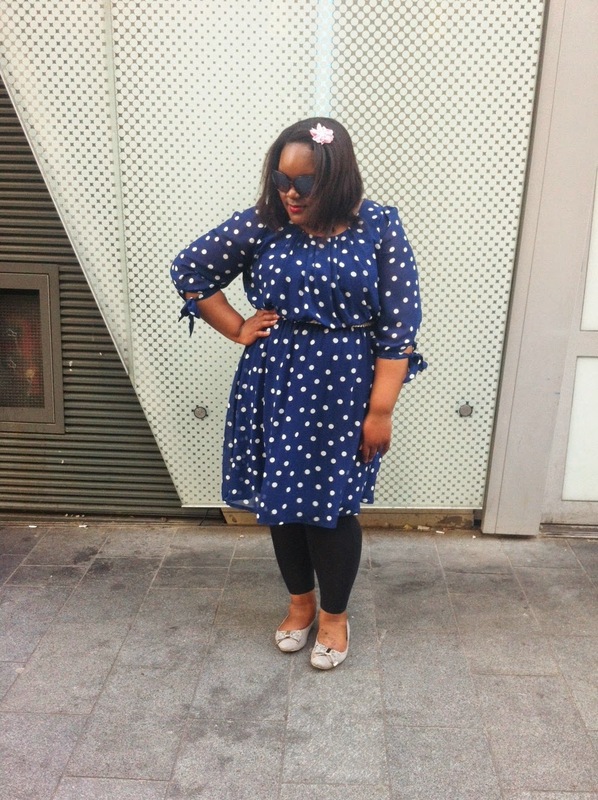 This blue white combo of polka dot is amazing. i also want to grab one for my spring outfit.